Jakarta. 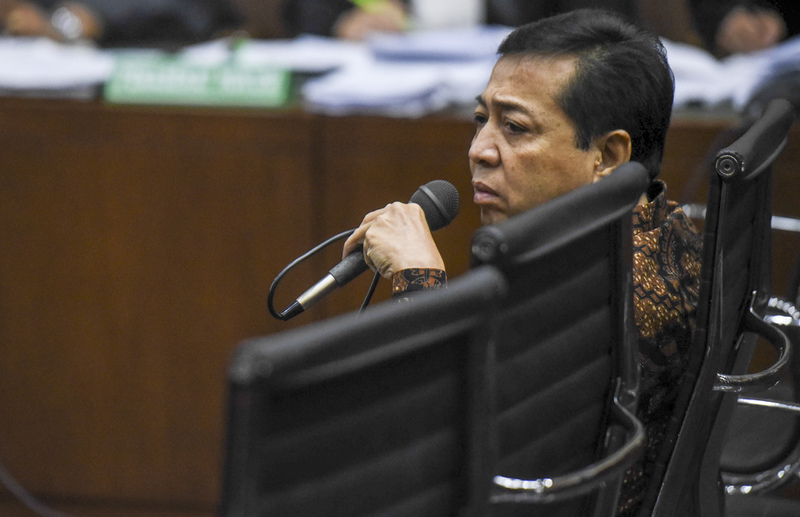 The Jakarta Corruption Court rejected an objection plea by Setya Novanto's lawyers on Thursday (04/01) and accepted an indictment against the former House of Representatives speaker in the high-profile e-KTP graft case. Approval of the plea would have halted the trial, which has been proceeding for a month. Setya's lawyers complained that the indictment against their client was "judicially flawed," a claim countered by prosecutors. His lawyers previously told the court that there were "inconsistencies" in the facts contained in the indictment against their client and other defendants in the case, because all are accused of having committed corruption "collectively." They also objected to the amount mentioned in the indictment of the bribe Setya allegedly received, which differs from the other defendants' indictments. They further claimed that Setya's indictment omits the names of several people mentioned in the trials of the other defendants. However, in Thursday's ruling the panel of five judges ruled that the indictment had already met "formal and material requirements" and that it was "legally valid." "The examination of defendant Setya Novanto's case can proceed," presiding judge Yanto said, rejecting all objections raised by Setya's lawyers. Setya responded by saying that respects the ruling. He is accused of having received $7.3 million in kickbacks from the Rp 5.9 trillion ($436 million) procurement project for electronic national identity cards, or e-KTP. The case resulted in Rp 2.3 trillion in state losses. He could face up to 20 years in prison if found guilty. Setya's lawyers will call witnesses for his defense during the next hearing, scheduled for Jan. 11.